1982, Brussels: Living on busking wages and next door to Tuxedomoon, Antena manage to make a contemporary bossa nova record that provides the missing link between Antonio Carlos Jobim and Kraftwerk. The original Camino Del Sol has been given back its spacious mini-LP quarters, recasting this short-lived combo's forward-thinking mile marker as a modern-day masterstroke. 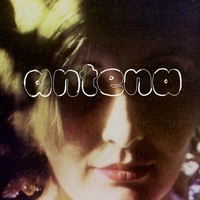 Vinyl release of Antena - Camino Del Sol. Released through NUMERO and available now on LP.